Purple House Cancer Support has various Governance & Transparency measures in place and we value your trust & support. We value your support, as without it, we would not be able to support over 1,100 families each year. Purple House is a registered charity (CHY No 12589) and we are also registered with the Charities Regulator (RCN: 20037178) and submit annual reports to his office. Our accounts are audited each year by external auditors and are published on our website. You can view them at the end of this page. Purple House is governed by a Board of Trustees. All of our board members are volunteers, receive no remuneration of any kind and meet regularly to oversee the work of Purple House, and ensure that governance processes are in order at all times. Purple House is at the heart of the community & is funded almost entirely by voluntary donations and is not funded by any national organisations or charities. We would like to thank you for helping us to support so many families in the local communities of Wicklow, Dublin & beyond. 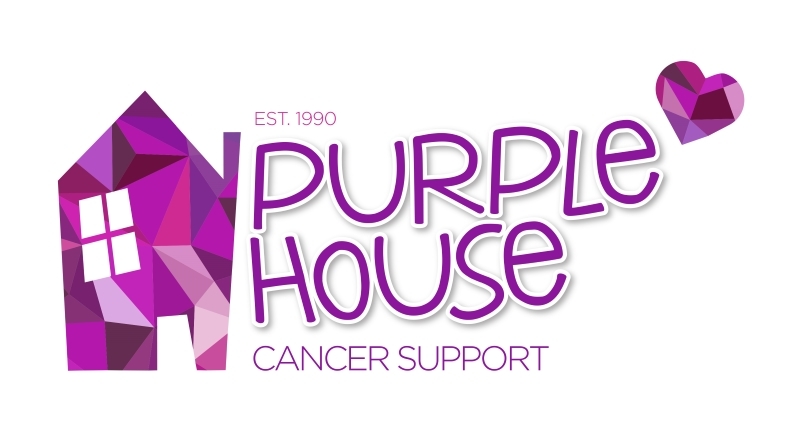 Purple House Cancer Support is a voluntary charitable organisation which is governed by a Board of Directors and managed by a professional management team. The Governance Code for Community, Voluntary and Charitable Organisations. Affiliated to The Irish Cancer Society Network of Cancer Support Centres. Purple House has seven board of trustee members. The Trustees ensure that the charity complies with Charity Law and the Charity Regulator requirements. Purple House Cancer Support is governed by a voluntary Board of Trustees who receive no remuneration for their time & services. Dr. Margaret Crean – Chairperson & Policy Advisor. Dr. Danielle Molloy – Medical Doctor. Ms. Nuala Murphy – Retired Nurse. The Board of Directors has appointed sub-committees to address and deliver key aspects of its work. Each Board Sub-Committee is chaired by a member of the Board. Membership of sub-committees are appointed by the Board and terms of reference are agreed by the Board. The role of the Finance, Audit & Operations Committee is to assist the Board in its oversight of finance and operations, ensuring that the organisation is meeting its targets as identified and as determined by the Board. At least one member of the Committee will have accounting or related financial experience. The Committee is responsible for developing the overall plans and budgets for the various operational entities that are represented on the Committee. It also holds to account support service budget-holders for the delivery and outcomes of their plans and budgets. The Committee tracks those projects delegated to it by the Board of Directors. The Committee reviews and advises on strategy and action on specific fundraising and marketing initiatives. They proactively promote, attend and assist with events. Directors review and evaluate the work of the committee. The Committee has a remit to assist the Board in discharging its responsibility in ensuring the organisation adopts, maintains and applies appropriate and accurate accounting and financial reporting processes and procedures. The sub-Committee facilitates an independent audit process and addresses issues arising. It ensures Purple House maintains effective risk management processes relating to the organisations’s management of financial risks, prevention of corruption and waste and the system of internal control. The role of the Nominations & Corporate Governance Committee is to monitor and review the structure, size and composition of the Board. It leads to a process for all Board and senior executive appointments (Senior Executive, Non-Executive Directors and Chair) and make recommendations to the Board for approval. The Committee keeps the skill mix of the Board under review and is responsible for ensuring the governance of the organisation is robust and in compliance with the Governance Code and HSE requirements. 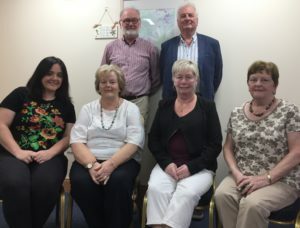 The Clinical Governance Committee has a remit to ensure that the principles and standards of clinical governance are applied to all aspects of the service with the ultimate goal of improved care to people of all ages affected by Cancer. The Committee oversees clinical audits and evaluates the effectiveness of services on behalf of the Board. With your help, we help over 1,100 families in Ireland each year. Thank You.